Located about an hour east of the Twin Cities, Boyceville, WI is home to St. Luke’s Catholic Church. The parish prides themselves on being a close-knit community with less than 100 families. The building itself was dedicated in 1965. 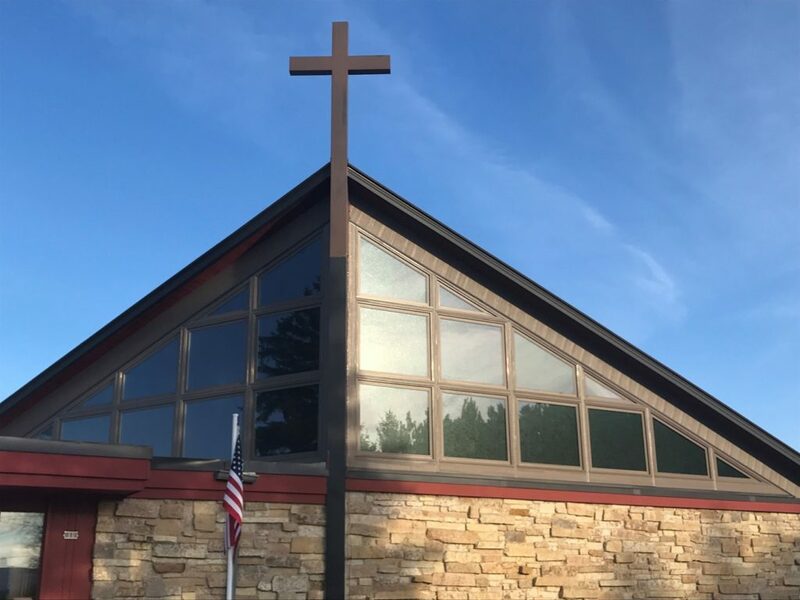 When members of the congregation called us for an estimate, it was because a number of their windows were showing signs they needed replacement. Examples included cracked windows and seals that had been compromised. Another opportunity for improvement included finding a way to amplify the amount of natural light within the space, while increasing energy efficiency. Aesthetics: When the church was constructed in the 1960’s, a diagonal window configuration was en vogue. Flash forward 50 years and the look was detracting from the church’s stunning architecture. 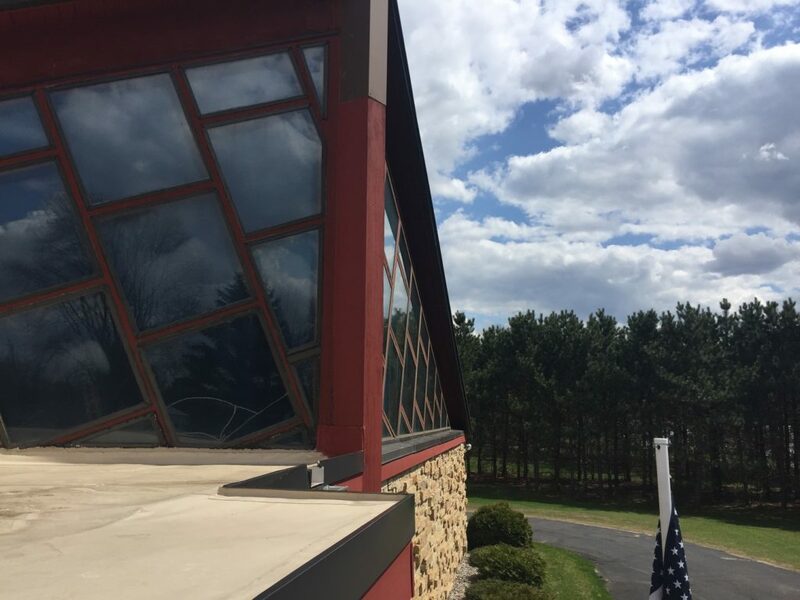 In order to give the building’s exterior a more contemporary touch, we suggested that the new windows be aligned horizontally. The red exterior framing was switched to Earthtone, which greatly enhanced the building’s curb appeal. Brazilian Pecan was utilized on the inside, matching the wood beams in the sanctuary. Natural Light: Before the window installation project commenced, the lack of natural light within the church’s sanctuary was noticeable. The simpler, more straightforward vertical window installation configuration reduced the amount of framing used. This allowed for the utilization of a larger glass surface. Exclusive to Lindus Construction, SeasonGuard windows were the perfect fit for this project because they average 27% more visible glass area than similar brands. Opting for this brand allowed more natural light within the space, creating a brighter area. 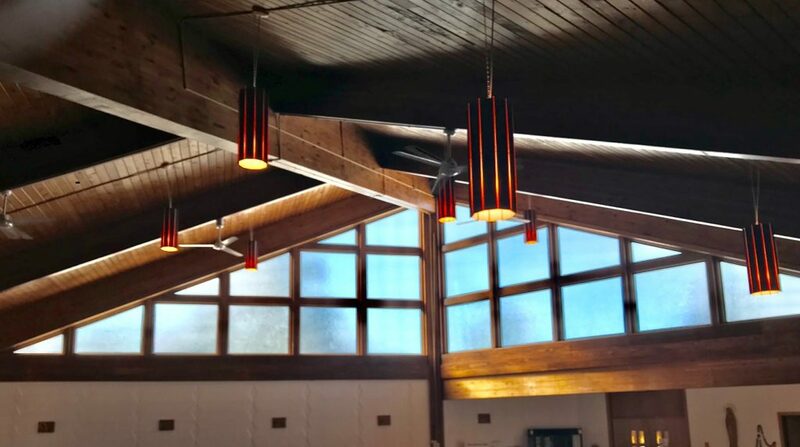 Energy Efficiency: With an area that has as large of a footprint as a church, it’s wise to consider energy efficiency when choosing the best window for a project. 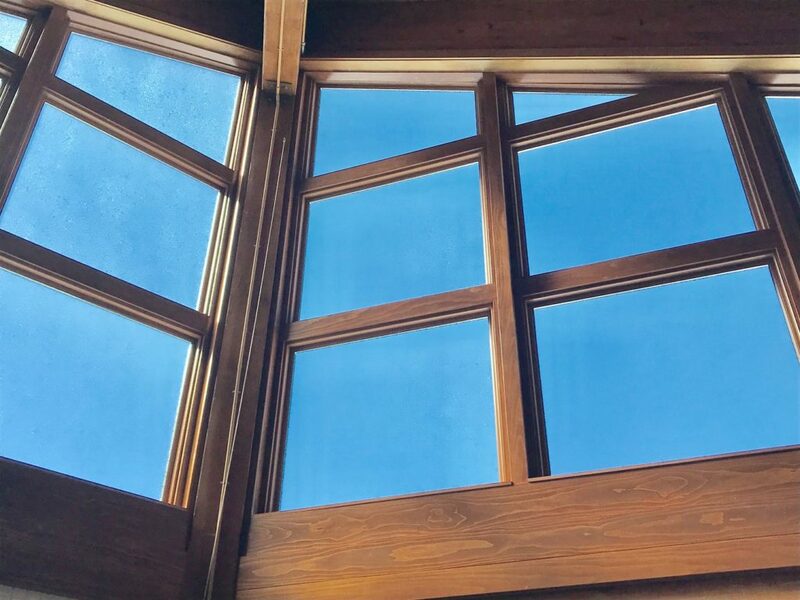 SeasonGuard Windows feature Latitude Glass, that’s specifically designed for the extreme temperature swings we experience in the Midwest. The utilization of these windows will ensure that the church feels warmer in winter months and cooler in the summer months. Looking Ahead: St. Luke’s Catholic Church is not uncommon in their approach to renovations. Like many other parishes, they’ve opted to complete their project in phases. In the near future, the parish is hoping to install new windows and doors on the rest of the church. Lindus Construction paid it forward by donating $50,000 in labor and materials for a window project Grace Place Homeless Shelter desperately needed. "The job on the porch windows was awesome. Jake and Jim did a great job." - Dennis H.
"I just had the last 4 SeasonGuard windows installed in my basement. Now my entire home has this brand name window. If you're looking for a company that cares about their reputation and workmanship, choose Lindus." - Bridgette W.
"We love our new windows! Thank you so much for the quality work you provided. We are recommending you to all we can." - Bill & Becky D.
“They installed SeasonGuard windows and a patio door. Great windows and install.” - Dennis J.